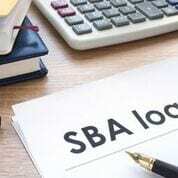 Join Lender Relations Specialist Dan Martiniello as he details the SBA Loan Guaranty programs, services, and benefits for small businesses. Learn about the 7(a) and 504 loan programs, Lender Match Service and more to help your business succeed. Dan has always had a passion for helping his community. At a young age he decided this first could be accomplished by serving in the United States Military as an Army Reservist which he did for 8 years. At the same time Dan developed an interest in banking thanks to the help of his high school finance teacher. During his 13 years in banking, most recently as a Branch Manager for a local bank, Dan assisted numerous small businesses within the community gain access to capital and provide other banking services that would help generate revenue and reduce costs. Dan knew that helping small businesses grow was his calling and wanted to serve on a larger scale. In October of 2018 Dan decided to leave his role at the bank and join the Small Business Administration as a Lender Relations Specialist. As a Lender Relations Specialist Dan assists small businesses from all over the state of Massachusetts gain access to the resources and programs the Federal Government offers to them. 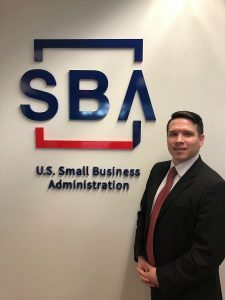 Dan also actively educates and trains the commercial lending teams of our Massachusetts based financial institutions on the lending programs offered through the SBA so they can in turn use that to help grow their small business communities.